New times demand new answers and Roca intends to create solutions that contribute to a more sustainable future. 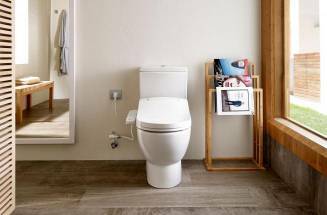 The acclaimed W+W (Washbasin + Watercloset) is a state-of-the-art product that combines basin and toilet in one single piece. Sometimes innovation is a sum of concepts, the result of combining forces and connecting different ideas. W+W is a solution devised by the Roca Design Centre. 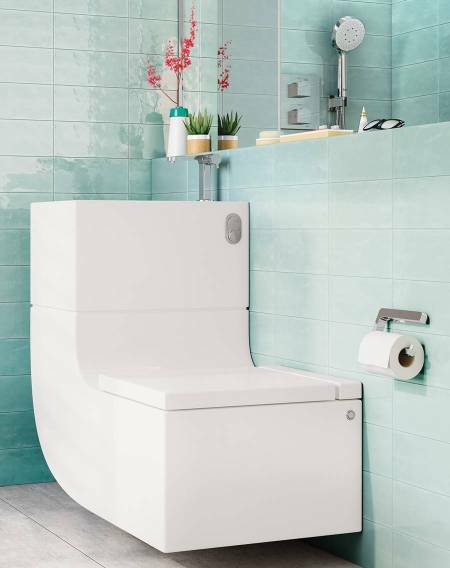 Sustainability and aesthetics join in a product with minimalist lines whose value proposition has been rewarded with numerous international design awards. Water is the most valuable resource, essential for life on this planet. In a society that is increasingly committed to the reduction of energy consumption and water saving, why spend more when technology allows us to use the resources in a more intelligent way? 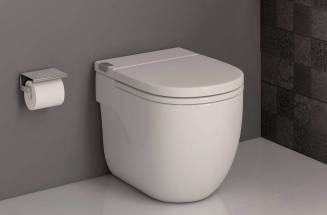 The basin of the W+W is integrated on the upper part of the tank of the toilet, allowing the reuse of the water we need to wash ourselves in the flush of the cistern. A selective system discards the waste water, while a powerful filtering system keeps the remaining water clean and disinfected. 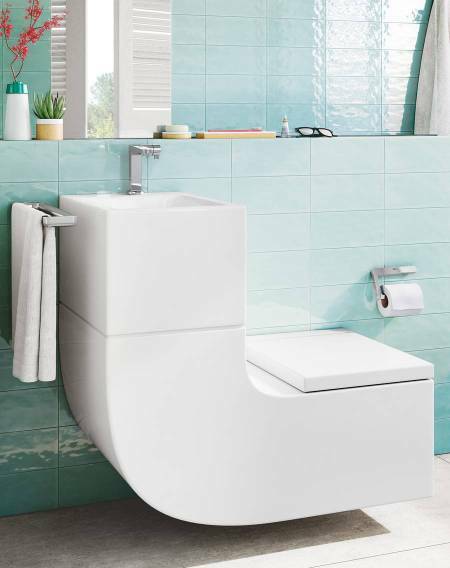 Small spaces compel us to come up with new ideas to distribute the bathroom furniture without compromising aesthetics. 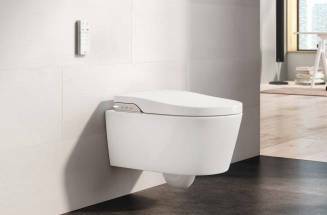 The W+W by Roca perfectly solves this problem by uniting the basin and the toilet in one single piece. Its compact design takes up very little space, providing more freedom of movement. 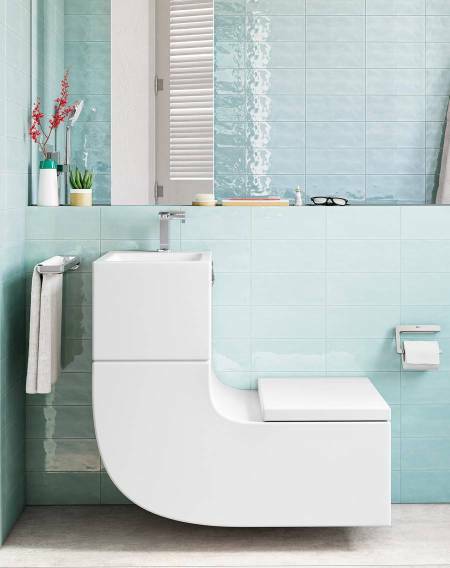 Moreover, its innovative shape provides the bathroom space with a unique personality. 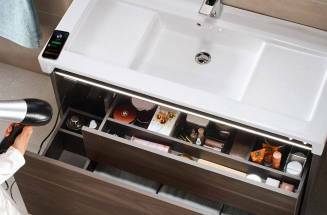 Discover the new Stratum-N furniture unit with Bluetooth® speakers and internal lighting. Simplicity, aesthetics and easy installation join in one single piece. Discover Roca’s exclusive WC cover with water jet.